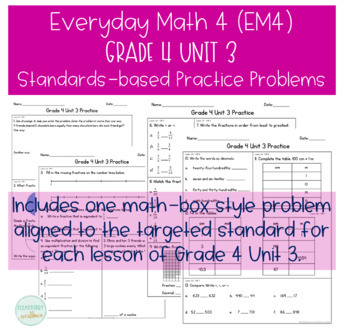 Looking for extra practice aligned to Everyday Math Version 4? 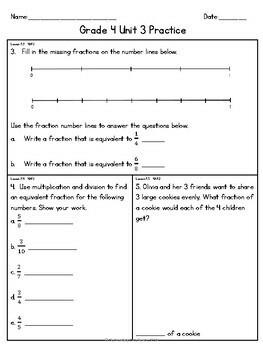 This product contains 4 pages of practice aligned to Grade 4 Unit 3. 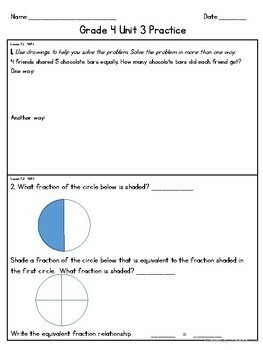 It can be used as reinforcement, for extra practice, differentiation, homework, etc. There's so many ways to use these practice pages! What exactly is in this product? This product contains one "math-box style" problem for each lesson of unit 3. The problems within the boxes are aligned to the standard that is the focus of each lesson in the unit. The standards and lesson are labeled in each box. 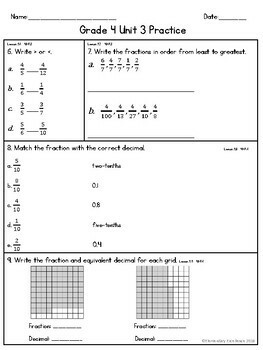 There is also an answer key included.